Just posting to let you know that we (the North Western Inshore Fisheries and Conservation Authority) are currently consulting on a new Foul Hooking Byelaw that combines the two previous Foul Hooking Byelaws to cover the whole district. Should you have any comments or concerns please let us know on the email listed in the notice below. A new byelaw has been approved and made by the Authority. In accordance with Defra’s byelaw making process the Authority must now advertise the byelaw and provide a 1 month consultation period before it can be signed by the Minister to bring it into force. 1. PROHIBITION ON FOUL HOOKING 2017: This byelaw will prohibit the practice of foul hooking sea fish. It will replace the current NW&NWSFC Byelaw 18 and Cumbria SFC Byelaw 17. Copies of the byelaw in full may be obtained from NWIFCA, 1, Preston Street, CARNFORTH, Lancashire, LA5 9BY free of charge, or from the NWIFCA website. Any person who wishes to object to the confirmation of the byelaw must send a statement of their objection in writing to the Marine Conservation and Enforcement Team, Marine Management Organisation, P.O. 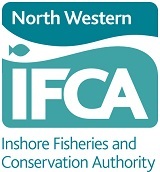 Box 1275, Newcastle, NE99 5BN (or IFCAbyelaws@marinemanagement.org.uk), and the North Western IFCA, 1 Preston Street, Carnforth, Lancashire, LA5 9BY (or office@nw-ifca.gov.uk) within 28 days of the publication of this notice. If you require any further information please contact the Carnforth office.